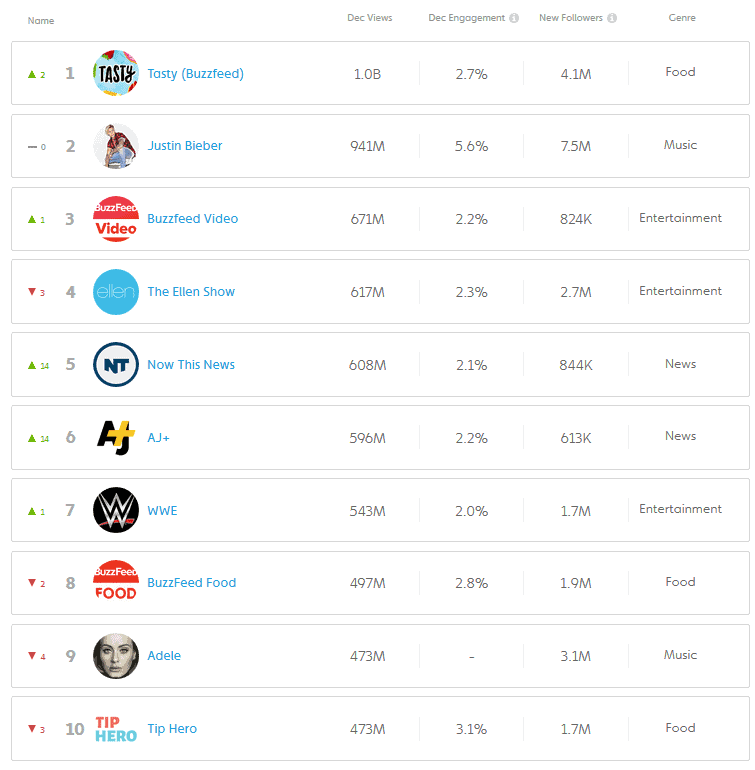 Tubular Lab’s has revealed the list of Top 10 most popular video creators for the month of December 2015. BuzzFeed Tasty, one of BuzzFeed’s three video channels to make the list, scored one billion video views last month. BuzzFeed Video ranked No. 3 with 671 million video views, and BuzzFeed Food ranked No. 8 with 487 million views. Altogether, BuzzFeed earned more than 2.16 billion video views during the last month of 2015. Ranking video views across YouTube, Facebook, Vine & Instagram, the video analytics firm says the top 100 video brands generated a combined 37.5 billion videos views in December, a four percent increase over November’s total views. Two new video creators to make the top 10 included Now This News and AJ+, both news sites. The field data is for the month of December 2015.